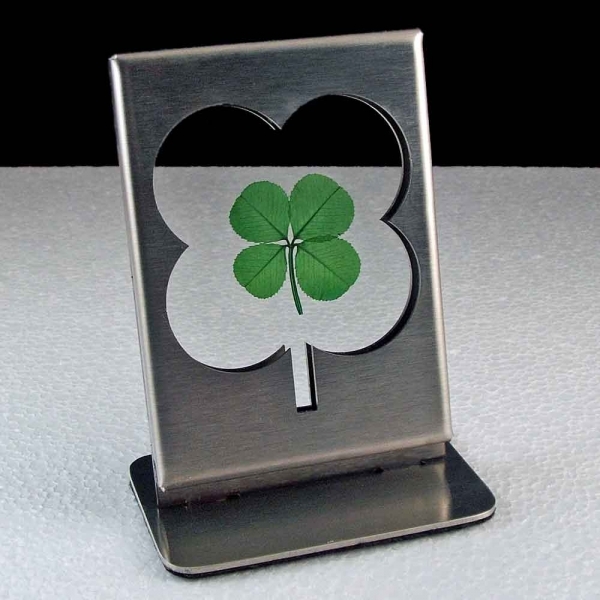 This one-of-a-kind unique four-leaf clover design frame is made from polished satin stainless steel with a real genuine preserved four-leaf clover sealed between two pieces of clear glass. Felted bottom to protect furniture. Gift boxed with cover fact sheet. Size 2.75" X 4".